As shared in a recent blog post by Advanced Fraud Solutions (AFS), the 2017 AFP Payments and Fraud Control Survey found that 75% of organizations in 2016 experienced check fraud, and the mobile channel is a hot spot for this type of activity. Without a database like AFS’ TrueChecks® to spot fraudulent remote deposits, they can be harder for financial institutions (FIs) to catch than checks coming through the teller line. Here are some clues by AFS that your credit union can deploy to help beat the fraudsters at their mobile check deposit fraud game. 1. Account and transaction analysis are essential. 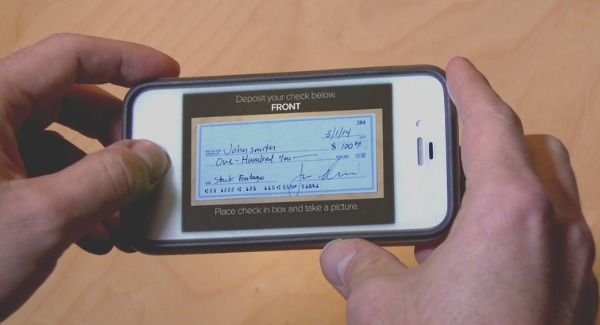 Looking for context when evaluating mobile check deposits is vital. These details include balance and deposit history, the user’s typical locations when depositing checks, along with any return item history. Additionally, the length of time the depositor has been banking with your FI, and what kind of relationship they’ve built up are two more critical factors. Most fraudulent mobile check deposits will either come from new accounts, or there will be a recent history of odd activity. For more reading on new account fraud, check out last week’s blog post by AFS. 2. Check for interconnected accounts that may be assisting in this fraudulent activity, or even cross-channel activity being perpetrated by a more organized effort. This may include wire or ACH transfers in addition to mobile deposits. Furthermore, look if the account is being used for regular activity, like groceries, gas, restaurants, and similar daily transactions. If not, you may have a problem. Accounts that appear only to be used for deposits and withdrawals are fraudulent more often than not. 3. Device fingerprinting. This is when a device is analyzed for hundreds of characteristics and behaviors including browsers, language, location or operating system. This approach can even detect if fraudsters have attempted to mask any of these identifying properties. If an account owner is supposedly based in GA, but the deposit is coming in from a mobile device in Kenya, that should raise the alarm bells. For most FIs, training staff to review deposit and withdrawal patterns, and look for any significant changes, will typically identify what’s fraudulent and what are normal transactions from a trusted customer. Most people have consistent transaction patterns you can quickly identify, such as similar payroll deposits on a set schedule, everyday expenses from local merchants, or checks in similar amount ranges. By keeping these tips in mind, your FI can arm employees with the knowledge to make smarter decisions on funds availability for suspect mobile deposits. To learn more about how AFS services can help you in fraud prevention, visit advancedfraudsolutions.com or contact CCUL Director of Business Solutions Susan Allred at 800.822.8859, ext 417 or sallred@carolinasleague.org.